MIDLAND — DowDuPont (NYSE: DWDP) has begun the stock process of spinning out its materials science division into a new corporation, to be called Dow, with the filing of an initial Form 10 registration statement with the U.S. Securities and Exchange Commission. A Form 10 registration statement is required of publicly traded companies to register a new class of securities. It is required of companies with more than $10 million in assets and more than 750 shareholders. Dow’s initial Form 10 filing includes a business and strategy overview, competitive strengths and end-market information, as well as historical and unaudited pro forma financial information, among other details for the intended company. As detailed in the filing, the new Dow will have a portfolio comprised of six global business units, serving three consumer-driven market verticals: consumer care, infrastructure and packaging. DowDuPont said additional information regarding capital structure, dividend policy, governance, initiation of Dow common stock upon separation from DowDuPont and other matters will be filed in subsequent versions of the document. Dow anticipates the SEC will declare the Form 10 effective in the first quarter of 2019, aligned to the company’s timeline to separate from DowDuPont by April 1, 2019. 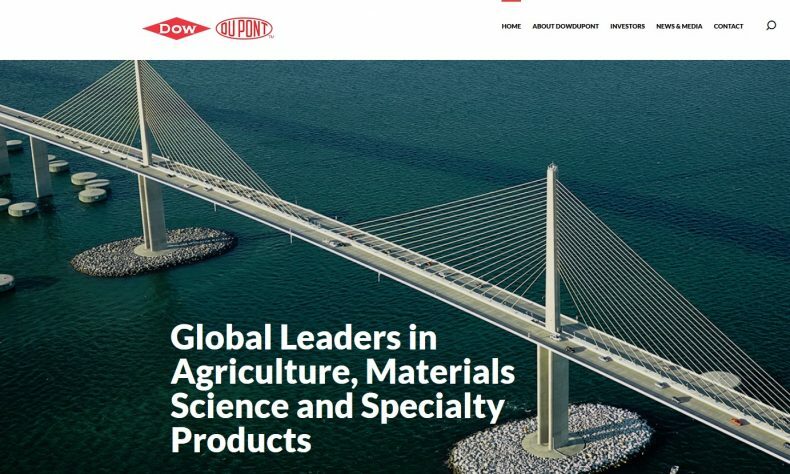 DowDuPont is a holding company comprised of The Dow Chemical Company and DuPont with the intent to form strong, independent, publicly traded companies in agriculture, materials science and specialty products sectors. For more information, please visit us at www.dow-dupont.com. On Dec. 11, 2015, Dow Chemical Co. and E. I. du Pont de Nemours and Co. entered into an agreement and plan of merger, as amended on March 31, 2017, under which the companies would combine in an all-stock merger of equals transaction. Effective Aug. 31, 2017, the merger was completed, and Dow and DuPont became subsidiaries of DowDuPont.